This preamplifier is the center of your high-end stereo system as well as your multi-channel equipment. It guarantees sonic perfection for stereo playback lovers as well as the friends of multimedia experiences. The input control takes place on the decibel precisely over the two existing multi-function switches for programming and setup, in typical AARON design. The twisted cone of solid material and the blue power indicator are embedded in the 10 mm thick aluminum front. You can control playback for 8 devices, such as a CD player, tuner, DVD, multi-channel equipment and a recording device, in the ideal manner with this preamplifier. Including the 2, a total of 6 output channels are available for mandatory outputs for high-end stereo playback. Our AARON sales representatives will happily inform you of the functions and uses that are ideal for you in stereo, bi-amping or even multi-channel operation. Ideal partners for the No.22 Cineast High End Preamplifier are the No.3 Millennium High End Stereo Amplifier or even the AARON No.33 Cineast Three-channel Amplifier. Sit back and enjoy your favorite music. Even from the sofa, the performance of this preamplifier gives you real enjoyment, with its high quality aluminum remote control. The No.22 Cineast preamplifier is available in a silver-colored "Aaron Silver" version or with a black front flap in the version called "Night Shadow". Our sales representatives will happily demonstrate the sonic superiority of this preamplifier for you. On your speakers, and also very gladly with you at home. 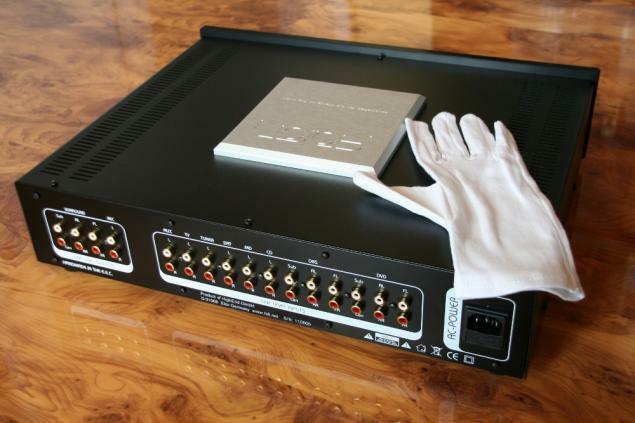 Of course, the No.22 Cineast preamplifier is also available with our high-end satisfaction guarantee. If you are interested in the technical data of this preamplifier as well as its sonic capabilities, you can request a data sheet as a PDF file. 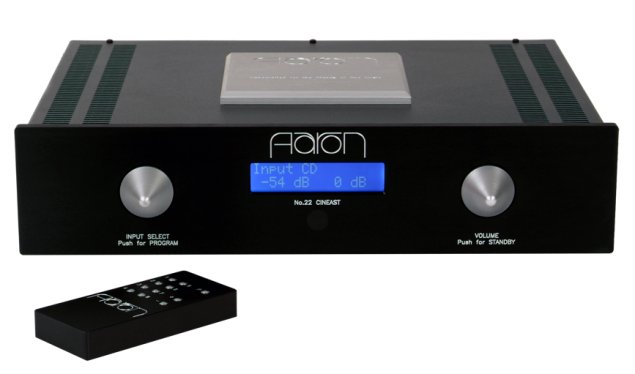 You can already call this preamplifier your own from EUR 2.990,- Our current AARON price list is available for download as a PDF file. We wish you many hours of pleasure and music enjoyment with your new AARON amplifier. For more information and also on the subject of our “High-End Financing Service“, you can contact us at any time. See you soon – in the circles of satisfied AARON owners.